Furber Roofing Limited are specialists in Firestone rubber roofing in Wirral and across the North West for domestic and commercial customers. 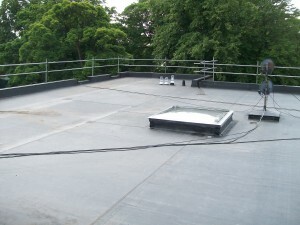 We carry out many rubber roofing in Wirral projects from large commercial buildings to smaller domestic works. 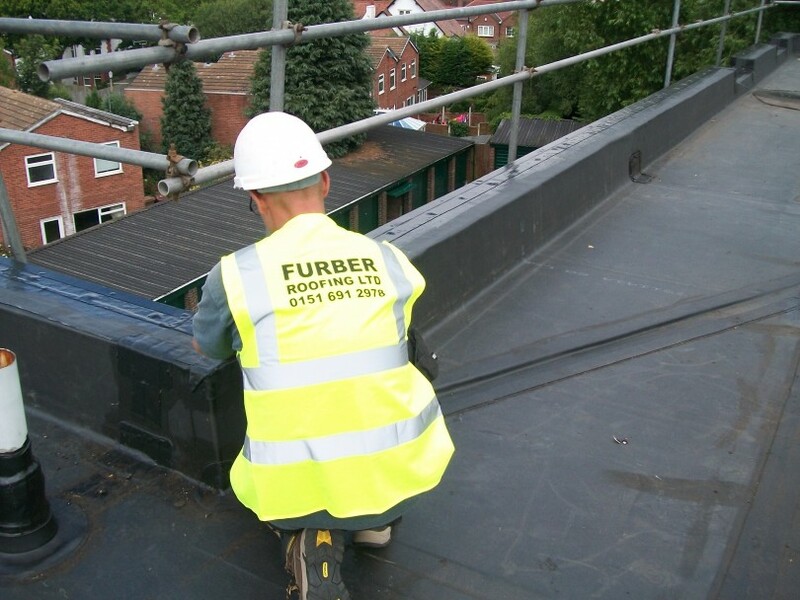 Furber Roofing Limited have recently carried out a reroofing project in Wirral in the Oxton area to a block of 24 flats. The roof was approximately 770sq metres and was overlaid with new high density roofing boards with Premium Grade Firestone EPDM rubber finish. For this rubber roofing project we provided our own scaffolding to the perimeter of the property erected by own own fully qualified scaffolding team enabling us to keep the overall cost of the project as low as possible. Two double glazed roof lights where also installed and sealed as necessary. The project has been given a 20 year written guarantee by ourselves and a 20 year product warranty from Firestone providing all 24 owners with complete peace of mind for many years to come.